Warehouse safety is beneficial to everyone at your business. A safe and healthy staff works well and helps operations run smoothly and efficiently. However, sometimes warehouse safety isn’t a priority, which can lead to dangerous situations for employees and your stock. According to EHS Today, from 2016 to 2017, the number of deaths caused by people being struck by or against objects rose 2%, deaths caused by fires, flames, and smoke rose 3%, and deaths from falls rose 4.8%. These types of accidents are all preventable with careful health and safety management. When the standards are made known to everyone, it reinforces the idea that safety is always a priority. After setting your safety standards, be sure to enforce them. For example, if a standard is set that everyone in the warehouse wears protective eyewear, don’t make exceptions. Once you have created a set of safety expectations, make sure they’re available for review. Posting safety standards ensures that employees have reminders of acceptable, safe behaviors and know what hazards to keep at the front of their mind. Posting these standards near heavy equipment and dangerous areas of the warehouse helps keep employees alert and safe. Similarly, post emergency signage clearly. When your employees can quickly locate a fire extinguisher, emergency exit, or first aid kit, a potentially major accident can be under control much more quickly. To truly make sure all employees understand the safety standards that are set for them, provide ongoing training. It’s one thing to read a guideline and attempt to follow it but giving employees hands-on experience in proper procedures improves the likelihood of safe actions. Safety sweeps let you identify – and then fix – potential safety hazards in your warehouse. Reviewing your warehouse to see if new standards need to be set is a vital part of maintaining safety. 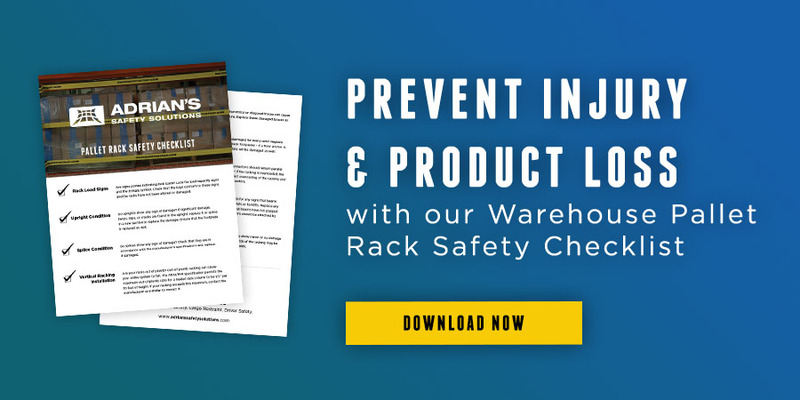 Use a warehouse safety checklist and make sure your whole workspace still meets standards when new equipment has been added. Cutting corners when it comes to safety may seem like it saves time and money, but in the long run, potential injury and product loss caused by using sub-par equipment will cost you more – both in terms of money and in reputation. Research the best equipment for the job at hand. And keep in mind that effective, simple safety solutions don’t have to be expensive or time-consuming. 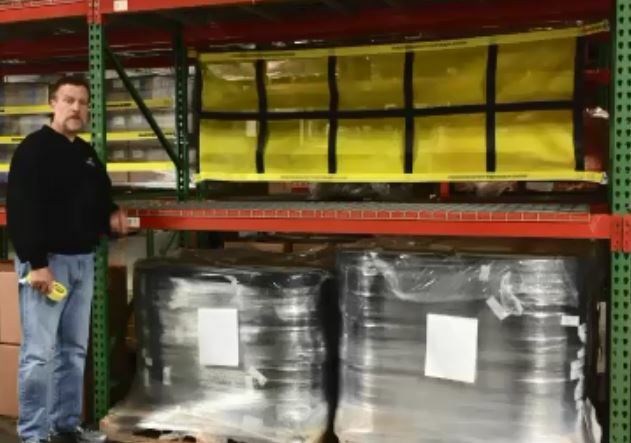 Our warehouse safety solutions products do not require any tools or retrofitting, install in seconds, and are more affordable than many other safety products.